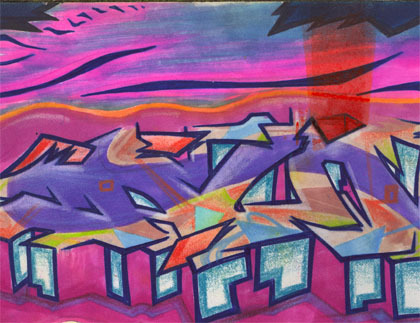 Former graffiti artist Tyson Andree has fine arts works in a group exhibition in Adelson Galleries Boston through June 30. 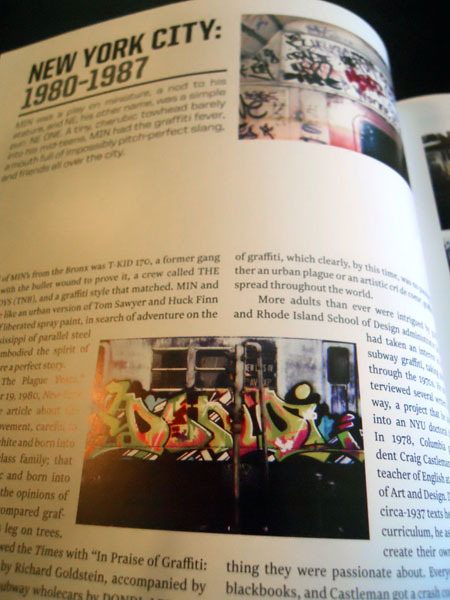 Graffiti gained popularity as art on New York City subway trains in the 1970s. Andree says he’s been told that it was artists named Gene, short for Genius, and Sen2 who brought it to Boston around 1980. 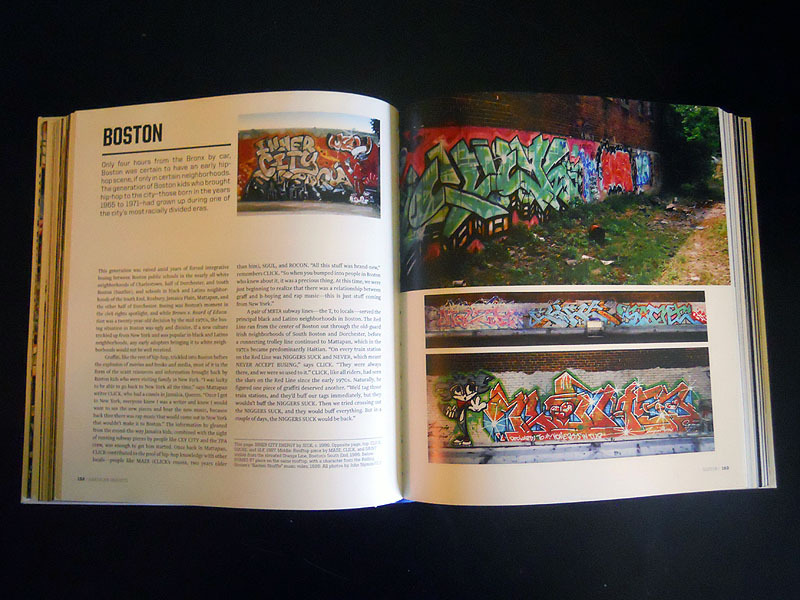 He says his history of the Boston graffiti scene comes from an artist named Click, one of the originators of Boston’s graffiti scene. 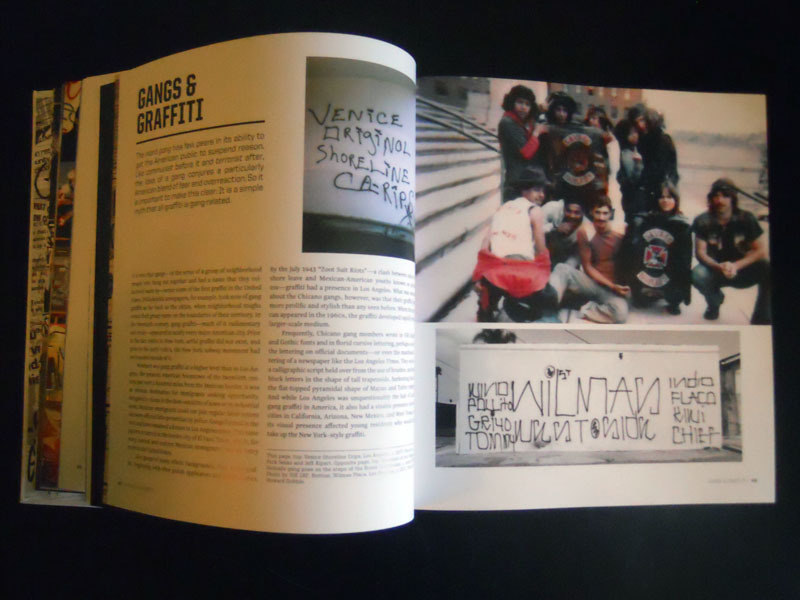 By 1983, Boston had a full-blown graffiti culture. 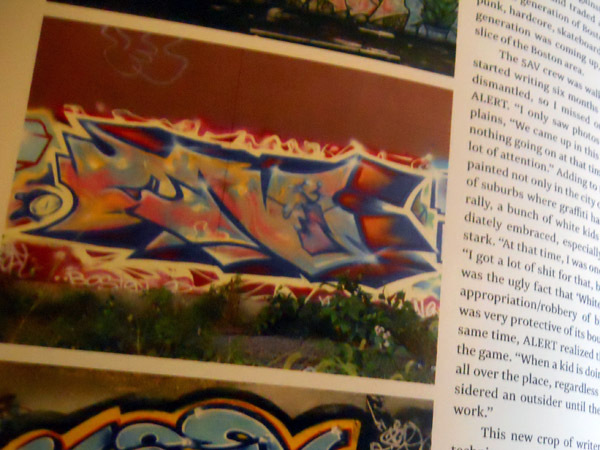 The elevated Orange Line route that ran through Roxbury was a particular hot spot, with graffiti works lining roofs and high walls within view of passing trains. 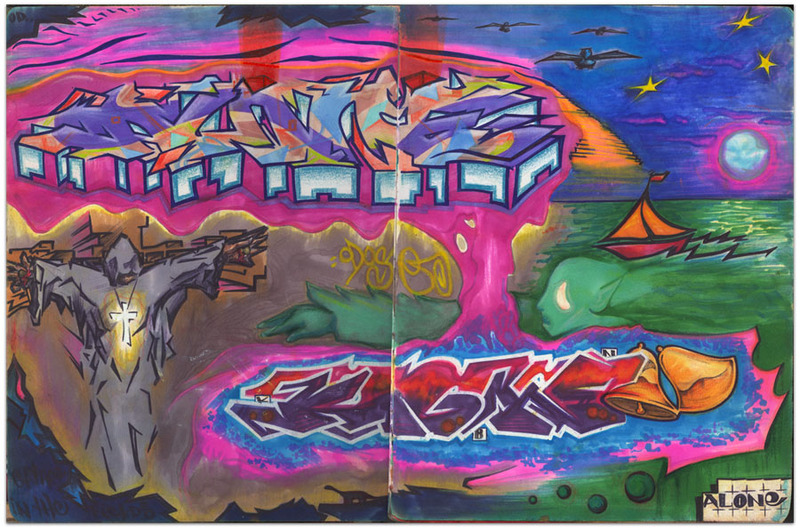 More than two decades later, balanced on a girder over the iron-gray water of the Charles River, Andree, now 33, is going by the name Caype, and he must be one of the most prolific and longest active graffiti writers in Boston’s history. It’s also a chapter in his life he’s trying to move past. 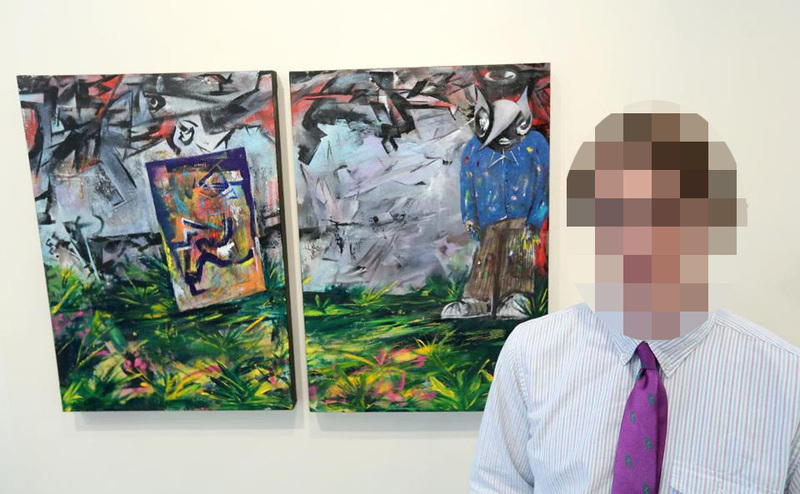 He is the first graffiti artist to be represented by the Adelson Galleries Boston, which deals primarily in artwork by contemporary and modern masters like Jim Dine, Andrew Wyeth, Alex Katz, and others. 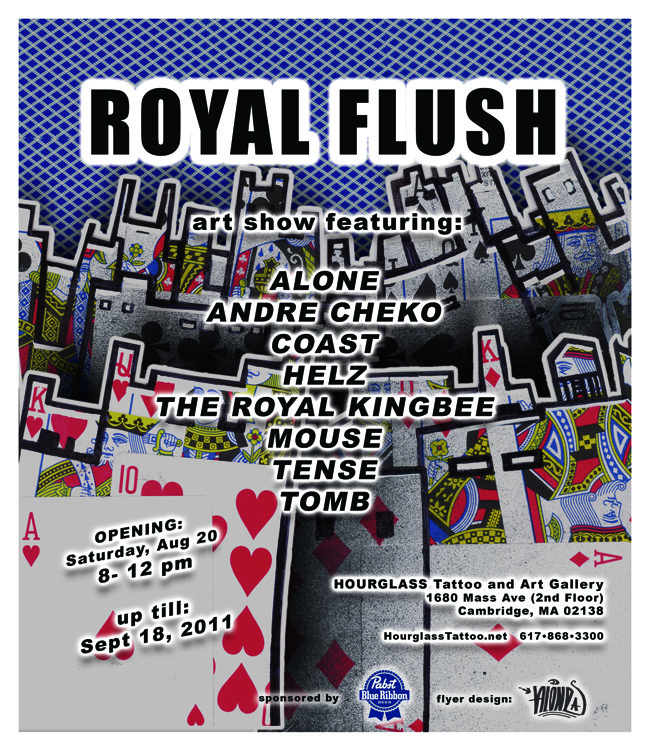 Andree is included in a group show titled “Ten Artists,” which runs through June 30. 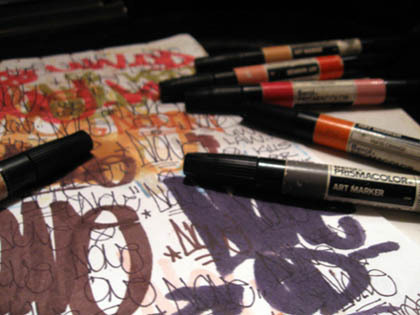 Some of his works on paper have also been included in Barry McGee’s exhibition at the Institute of Contemporary Art. 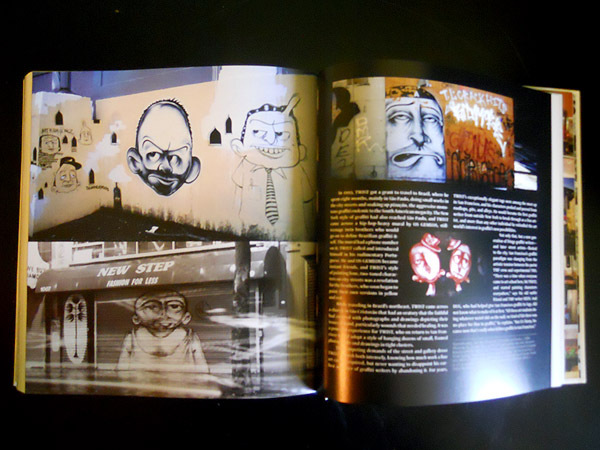 Featuring the art of graffiti and street artists while they are locked in the system from 1996–2011. 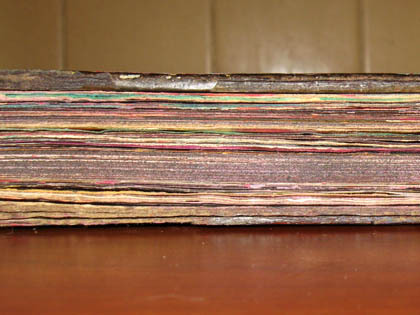 2o+ full color pages stapled with a thick cover. 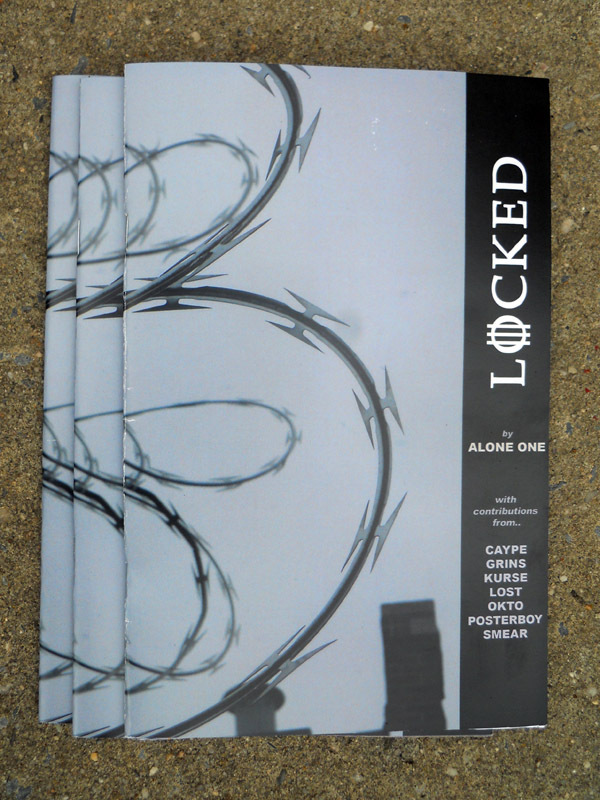 Each issue is signed and numbered by Alone One in a limited edition of 100. Or get one here by making a $10 donation*. Free shipping (include your address in the Paypal comments/notes). 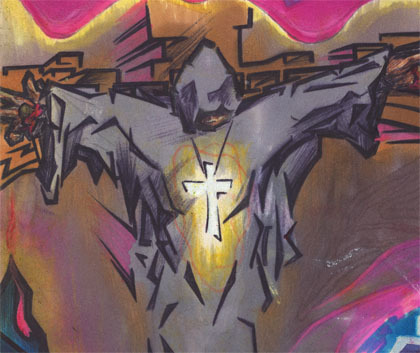 *All of the proceeds go directly to the contributing artists’ defense lawyers and commissaries. 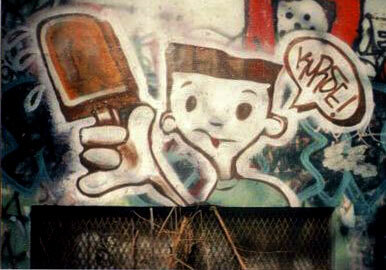 These crazy graffiti writers lifestyles require legal funds. 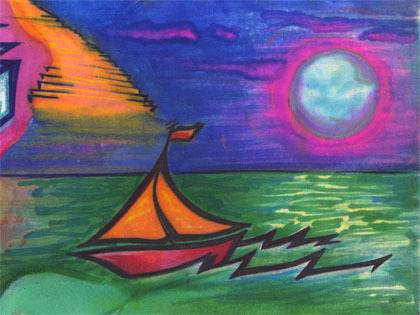 So support the cause and get a great collection of art at the same time. Any size donations appreciated, larger donations get larger thank yous! So (speaking for all of us) thanks in advance for your support. 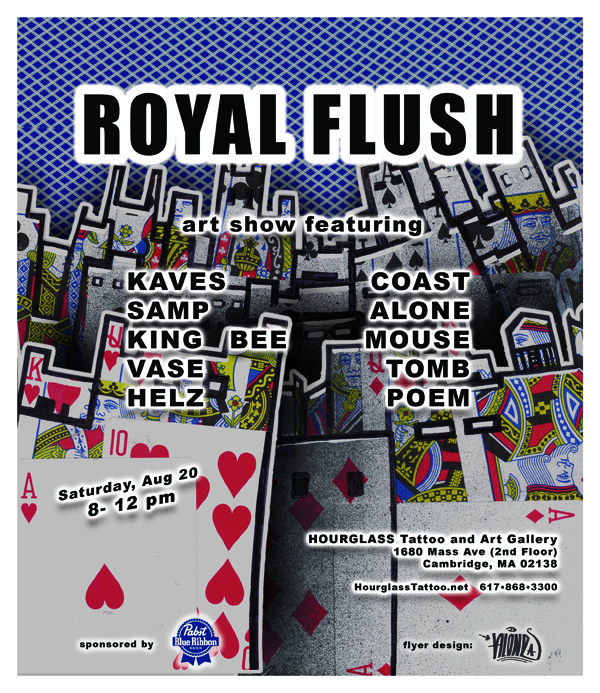 The show is up until late September. First, the cover. Take off that paper one that it came with and reveal the (MUCH doper, in my opinion) vintage spraycans cover hiding under there. 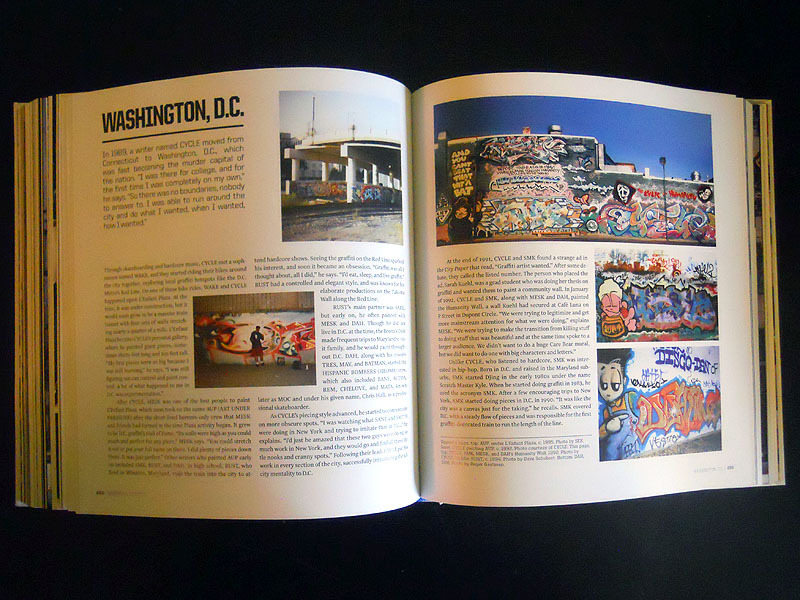 Then get ready for a Graffiti History 101 on the history of over 25 cities. 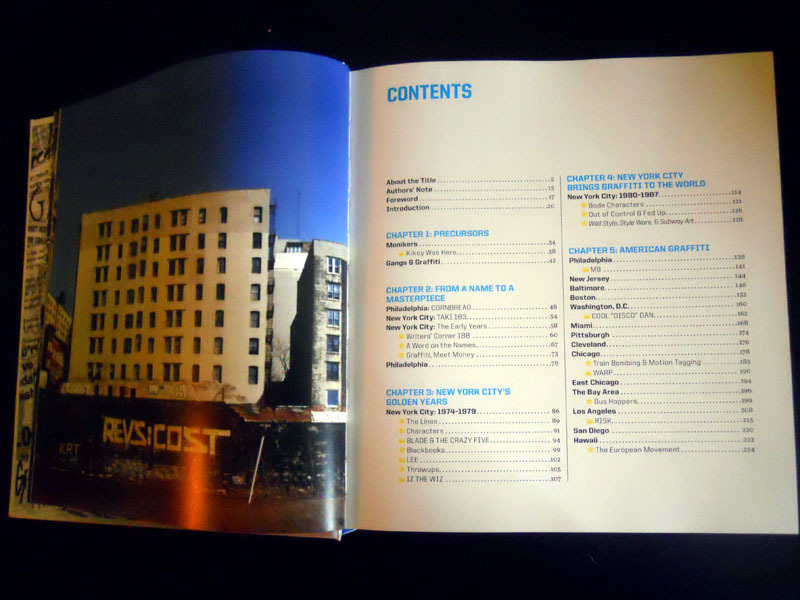 Just check out the Contents pages!.. 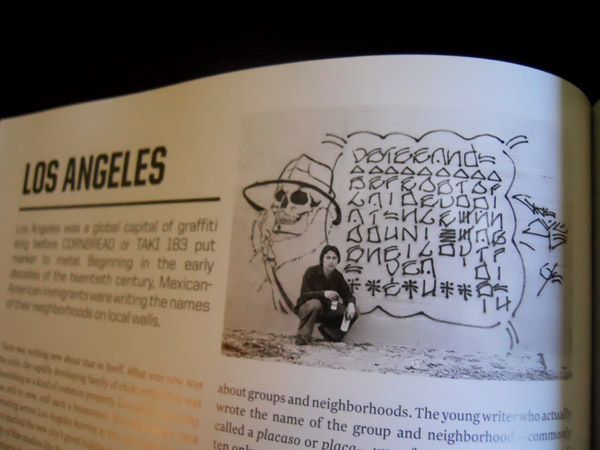 Instead of starting with the expectected Cornbread and Taki 183 stories, it starts earlier with other forms of graffiti. Of course any history book is bound to overemphasize certain people and events and omits others (REZENT! 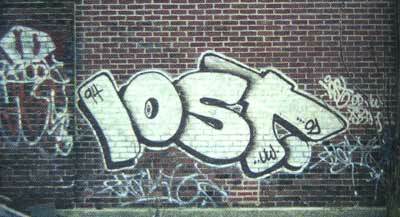 LOST!). However the Boston and New York sections are pretty accurate and no way as biased as it could have been. I’m not so knowledgeable on the other cities, but hopefully they are just as accurate. 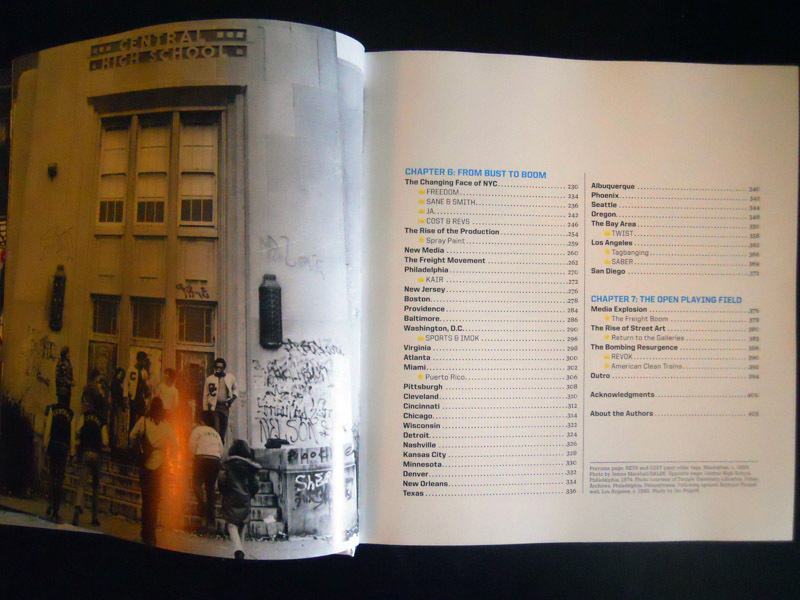 In addition to the individual city chapters, there’s profiles on some very influential writers such as Cost, Revs, Twist, and others. 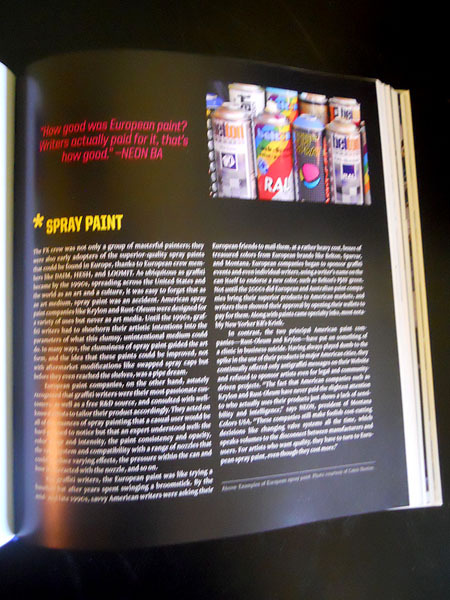 Then to top things off, they’ve even included info on spraypaint, blackbooks, tagbanging, freights, the list goes on.. 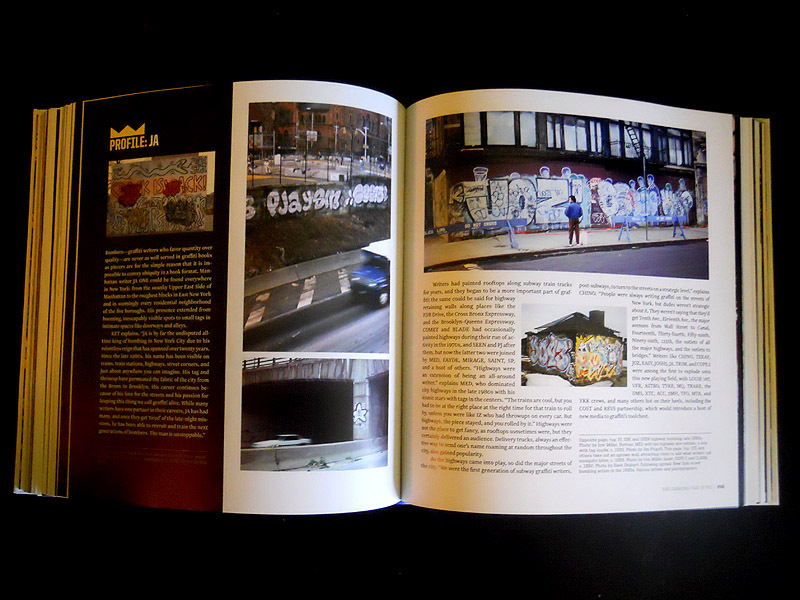 I was very pleased to see the Boston chapter giving just credit to the X-men, Jayrock, Remote, and of course the much justified write up and photos of Alert (OD. KBN. 5AV) and Ryze (5AV KBN.) 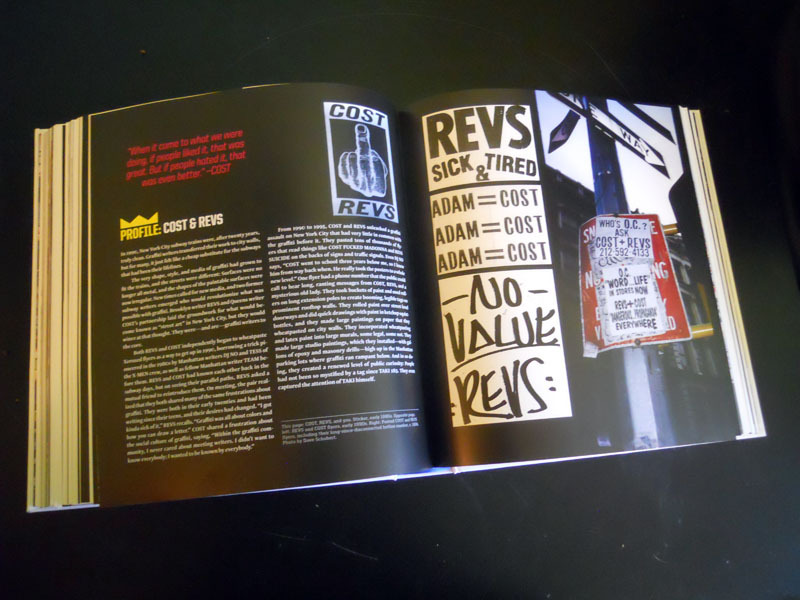 in the Boston chapter. The OD crew gets their mention. I get a mention and some quote. 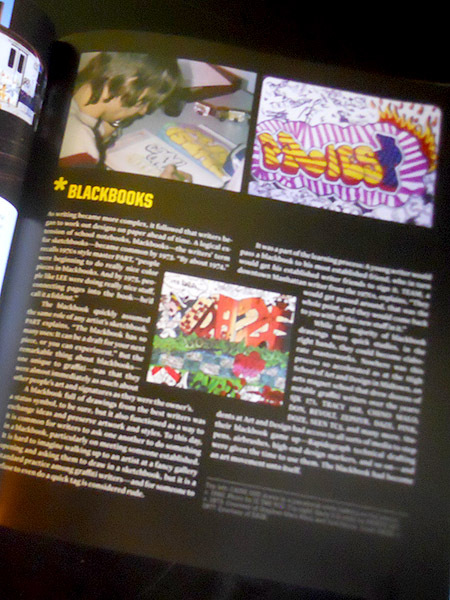 And a photo (not one I would have chosen.. guess I should have submitted some of my own.) 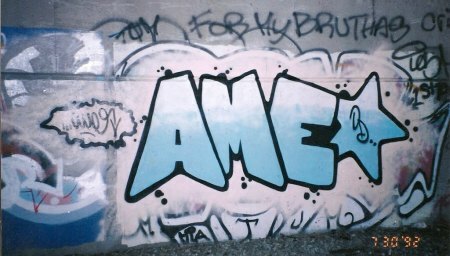 of an “AN” I did on the Porter MBTA tracks in 1993. Yup, the “Star Market wall”. 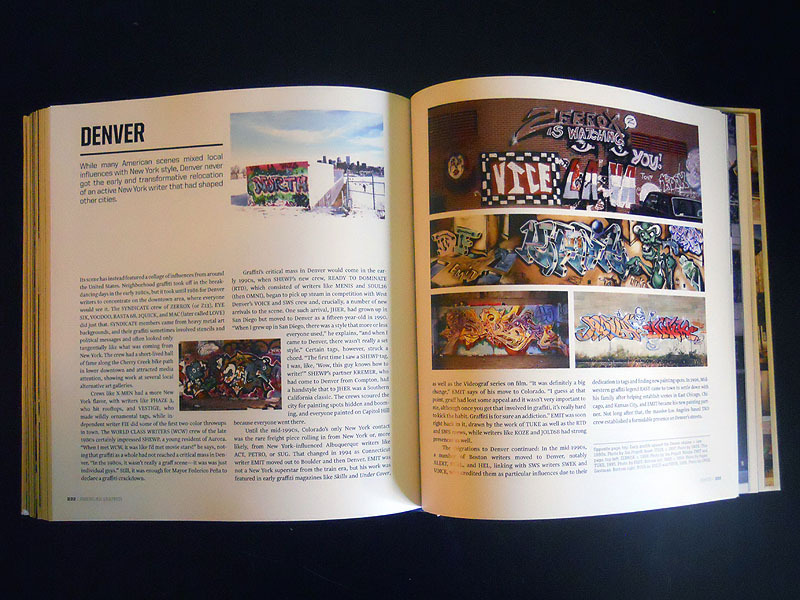 They also go on in the Denver section about Alert and Hel (OD KBN) relocating out there and hooking up with SWS. 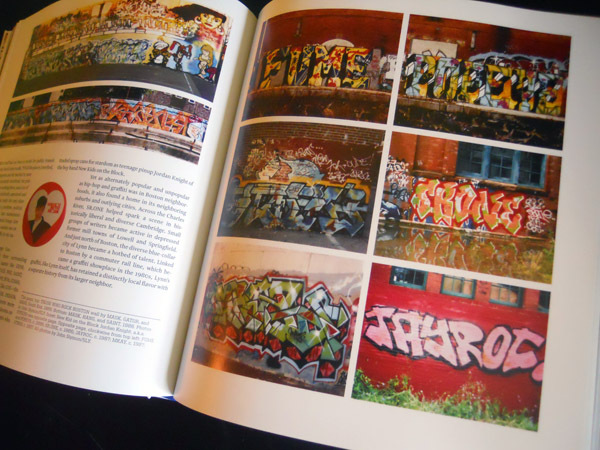 Overall, this is a great book that will undoubtedly (like it or not) be used as THE first and foremost account of 20th century graffiti and will be studied for centuries to come. Grab a copy while you can still get an original first pressing. 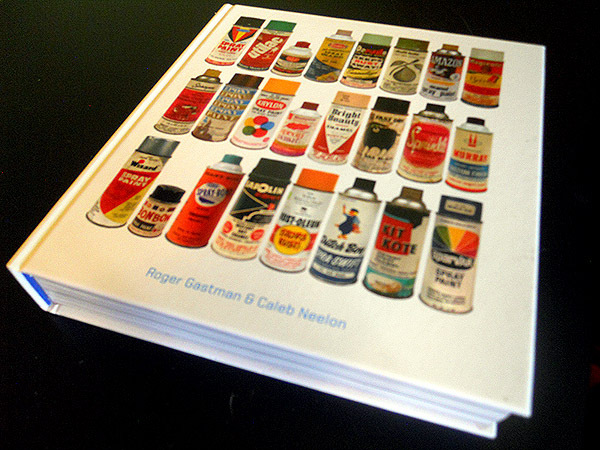 *** Oh yeah, BIG THANKS to Caleb and Roger for hooking up me up with a copy of the book!! 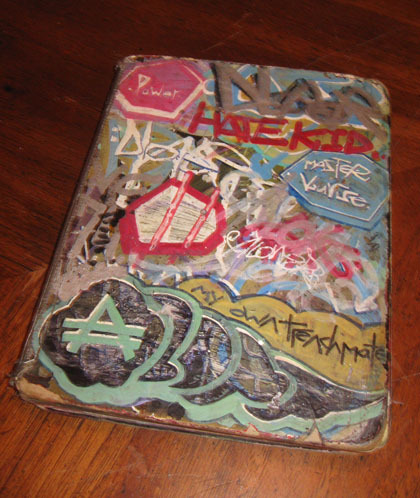 My main graffiti bible/ black book, started 1992.. 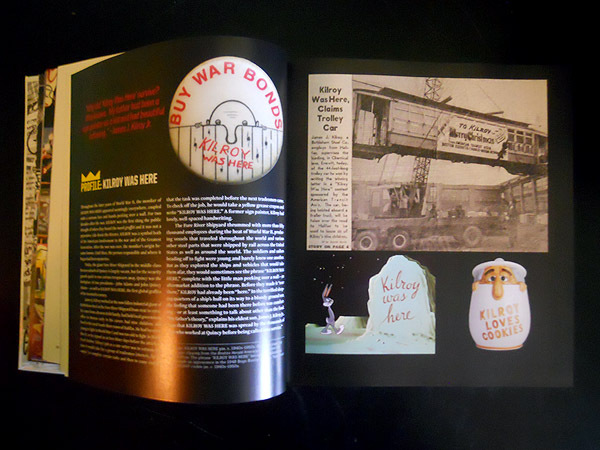 If you don’t already know the story behind Caype’s internment, read it here.